CARRIE JUNIOR ODOUR BUSTER KIDS HAIR SHAMPOO ~ FOR HAIR THAT SMELLS GREAT ALL DAY LONG! ~ FOR HAIR THAT SMELLS GREAT ALL DAY LONG! Have you ever experienced a strong odour from your kid’s sweaty hair and scalp after school or playing outdoor? The odour becomes worse when your child’s hair and scalp get sweaty and oily. The only effective way to eliminate such unpleasant odour is to ensure your child washes his or her hair after playing outdoor and after school. Maintaining their hair hygiene will also help decrease the risk of scalp infections besides ensuring they smell fresh. Parents have to take note that usage of adult shampoo is not recommended for young children. 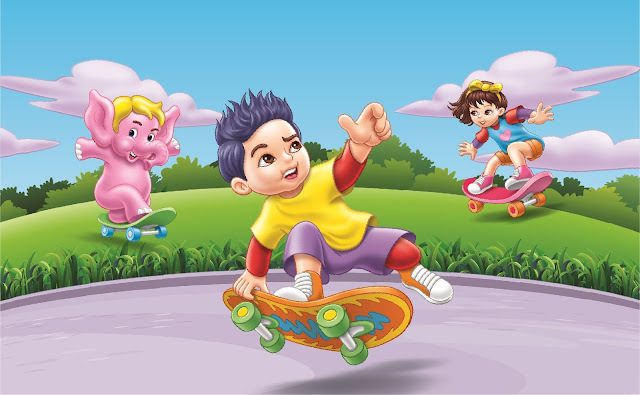 Usage of adult shampoo on children will lead to scalp and hair issues especially for children aged between 6-12. Due to their delicate scalp and hair, it can get particularly sensitive hence allowing them to use a gentler formulated shampoo would be best to maintain healthy hair and scalp. Understanding such gentle needs of children, CARRIE JUNIOR introduces CARRIE JUNIOR KIDS SHAMPOO ODOUR BUSTER, a shampoo which is safe for daily use and leaves hair smelling great all day long. It is a brand new functional shampoo formulated to combat hair odour effectively yet gentle to the hair and scalp. With the infused fruity burst scent that lasts for up to 24-hours, children can now have fruity fresh smelling hair even after a fun day outdoors. This product is further enriched with olive oil that nourishes and smoothens hair for manageable and easy combing. CARRIE JUNIOR KIDS SHAMPOO ODOUR BUSTER comes in delightful Perky Peach Fruity Burst and it is pH balanced, mild and gentle for everyday use. Available in two pack sizes, CARRIE JUNIOR KIDS SHAMPOO ODOUR BUSTER 280g pack retails at RM10.10* in West Malaysia and RM 10.60* in East Malaysia. 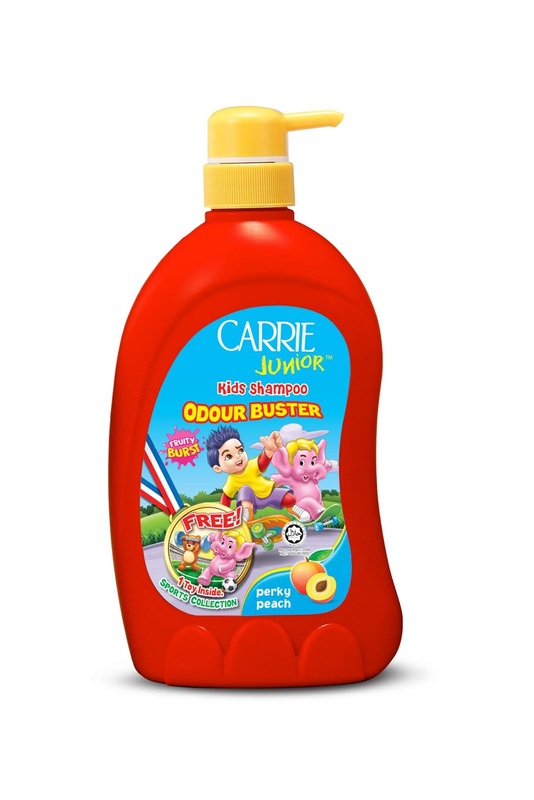 While CARRIE JUNIOR KIDS SHAMPOO ODOUR BUSTER 700g pack retails at RM20.70* in West Malaysia and RM 21.70* in East Malaysia. CARRIE JUNIOR products are available at leading retail outlets, hypermarkets, supermarkets and major pharmacies nationwide. Now, parents can hug their sweaty children after play and still smell the fresh scent of Fruity Burst all day long! *Prices subject to changes based on taxes that will be announced by the Government.